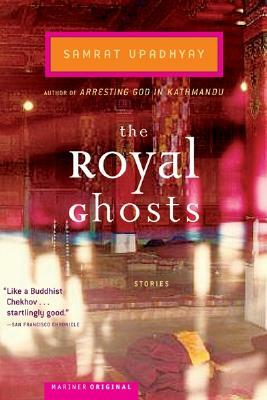 With emotional precision and narrative subtlety, The Royal Ghosts features characters trying to reconcile their true desires with the forces at work in Nepali society. Against the backdrop of the violent Maoist insurgencies that have claimed thousands of lives, these characters struggle with their duties to their aging parents, an oppressive caste system, and the complexities of arranged marriage. In the end, they manage to find peace and connection, often where they least expect it— with the people directly in front of them. These stories brilliantly examine not only Kathmandu during a time of political crisis and cultural transformation but also the effects of that city on the individual consciousness. Samrat Upadhyay is the author of Arresting God in Kathmandu, which earned him a Whiting Award, and The Guru of Love, which was a New York Times Notable Book, a San Francisco Chronicle Best Book of the Year, and a finalist for the Kiriyama Prize. He lives in Bloomington, Indiana. This book will also appeal to readers intersted in the themes: Nepal, South Asian Literature, Nepali Society, Alienation, Democracy, Kathmandu.